Some of the most pressing challenges of technologies are of global importance and may only be sufficiently addressed by international collaborations. This is why 3TU.Ethics is very enthusiastic to be collaborating with ethicists of technology from five Chinese universities since 2010. These universities are the Dalian University of Technology, Northeast University, Beijing Institute of Technology, Southeastern University and the South China University of Technology, united under the 5TU.Ethics flag. 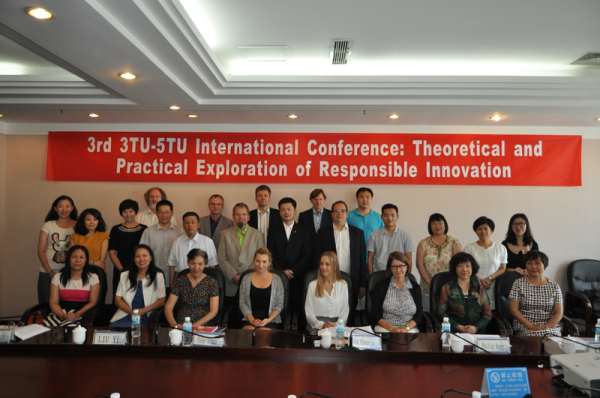 Since 2012, there have been three workshops where members from 5TU.Ethics and 3TU.Ethics have worked and thought together on topics such as responsible innovation, ethics assessment, high-tech zones, smart cities, governance and the internet, using case studies from China and the Netherlands. Both groups hope to continue their fruitful and constructive collaboration in the future. The next joint workshop is already scheduled for July 2015 (alongside the SPT conference, which will take place in Shenyang). Currently, the collaboration focuses on two joint research projects: one on responsible innovation at ports, and one on high-tech zones. These two are areas where ideas from responsible industry frameworks can make enormous differences, especially in a country such as current day China, which is developing quickly, but also has to meet the environmental and social challenges of that development. 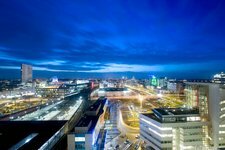 For example, Chinese “high-tech zones” are unique in the sense that corporations, organizations and universities are united in one location, combining cutting edge technology with high quality science. In short: high-tech zones are places where innovation is happening in China and, therefore, an important topic to study. On the one hand, industries in the high-tech zones have to deal with important issues such as how to limit pollution and the consumption of natural resources, how to realize social values in technological innovation in an agreeable way, or what responsibilities come from the knowledge asymmetry between the layman costumer and highly specialized industry. On the other hand, the collaboration is designed to be a mutual learning experience. For example, some companies in the Dalian high-tech zones have been successful in coming up with sustainable innovations. The joint research project will, hence, look into the specific traits of different high zones and their European counterparts to gain some insights on how to stimulate responsible research and innovations in such zones. The joint research projects also aims to conduct empirical studies on the understanding and implementation of Responsible Research and Innovation (RRI) by conducting surveys and interviews with representatives from the high-tech zones. Wim Ravesteijn (University Delft, Coordinator of the joint research project on responsible port innovation).